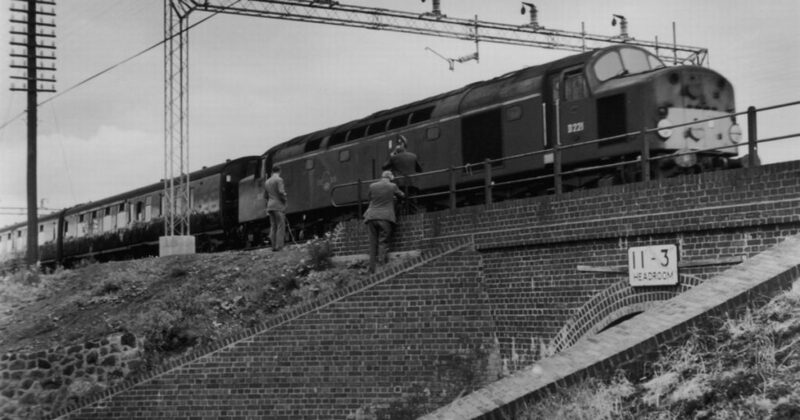 At 6.50pm on 7 August 1963 a Royal Mail train left Glasgow bound for London. On board were nearly 120 mailbags containing £2,631,784 in banknotes on their way to be destroyed. In the early hours of the next day the train was stopped at Seers Crossing and at Bridego Bridge it was robbed. “It was a brilliantly planned operation,” said one senior policeman. The driver Jack Mills, 58, tried to stop the thieves and was hit over the head with an iron bar by one of the gang, Buster Edwards. The gang had hidden out at Leatherslade Farm in Oxfordshire but had been careless in cleaning up after themselves. They played Monopoly with real money and left several fingerprints, which came in useful when the police raided on 13 August. Roger Cordrey, who had arranged the signals that stopped the train, was the first to be arrested. Charlie Wilson was arrested on 22 August 1963. Eventually, 12 members of the 15-man gang were captured. The insider who arranged which train to stop has never been identified. Only £343,448 of the stolen money was ever recovered. The trial of the 12 began on 20 January 1964. All were found guilty on 16 April and Tommy Wisbey, Bob Welch, Jim Hussey, Gordon Goody, Ronnie Biggs, Roy James and Charlie Wilson were all sentenced to 30 years’ imprisonment; Roger Cordrey was given a 20-year sentence although it was reduced to 14 years on appeal; Brian Field and Leonard Field both received 25 years although that was reduced to five on appeal. On 12 August 1964 Charlie Wilson escaped from Winson Green Prison in Birmingham. He stayed on the run until 24 January 1968. On 23 April 1990 he was shot dead as he relaxed by his swimming pool in Marbella, Spain. On 8 July 1965 Ronnie Biggs escaped from Wandsworth Prison and remained free in Brazil until 7 May 2001 when, ill, he voluntarily returned to England. The last of the robbers to be captured, Bruce Reynolds, was arrested on 8 November 1968 and sent down for ten years. Buster Edwards escaped to Mexico but returned to England in 1966, homesick, and was jailed for 15 years for his troubles. Driver Jack Mills never recovered from the cosh on the head and died in 1970. Edwards, who on release ran a flower stall at Waterloo Station and was the subject of the 1988 film Buster, committed suicide on 29 November 1994.